ASPECT Studios has completed a transformation of the public domain of Darling Harbour South, one of Australia’s most visited destinations. 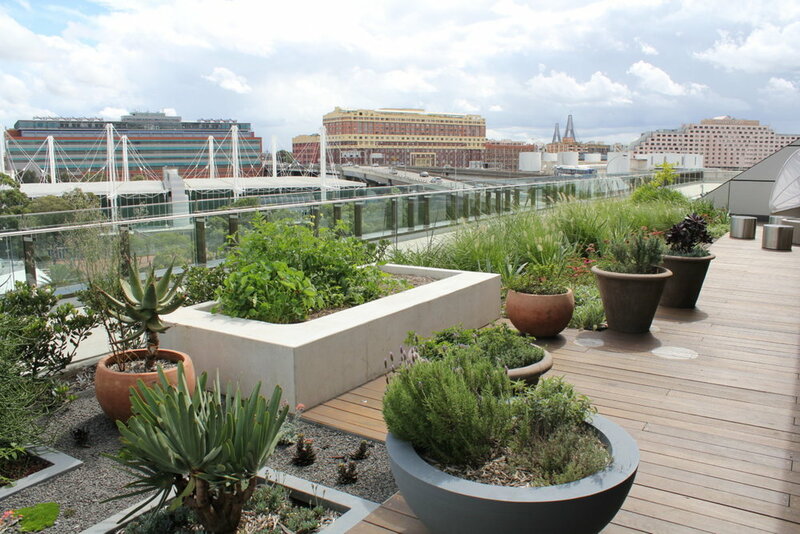 This public domain project now known as Darling Quarter was commissioned by the Sydney Harbour Foreshore Authority (now Property NSW) and Lendlease. A major 1.5 hectare place-making project for Sydney with a retail terrace, public park, two 6-star commercial buildings and an innovative children’s playground as its centre piece. 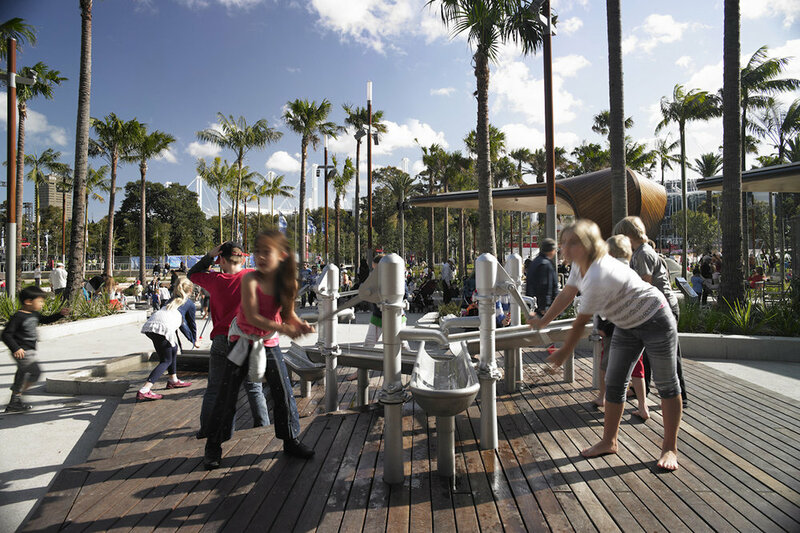 At over 4000 sqm, the playground is the largest in the Sydney CBD and with its interactive water play facilities has become a regional attraction for Sydney. 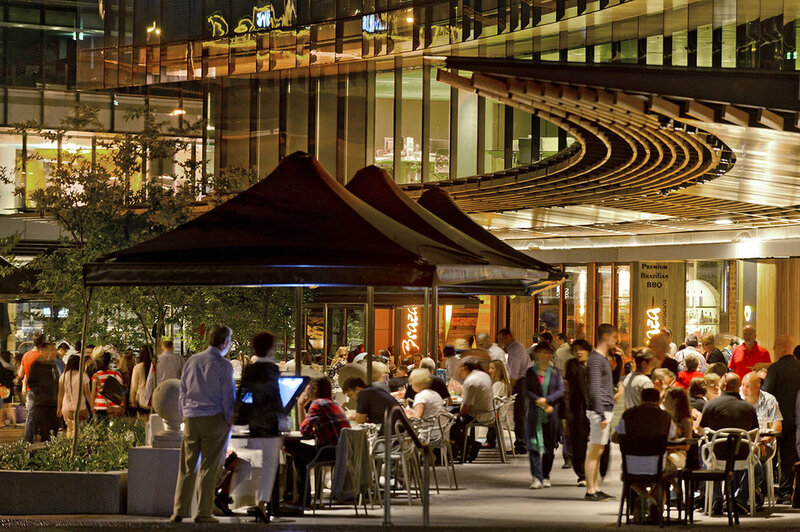 Darling Quarter builds a strong civic link to the city via the creation of a new pedestrian street – called the ‘civic connector’ which connects Tumbalong Park to Bathurst street and Town Hall. A second pedestrian link – the Pedestrian Boulevard reinforces the movement between the Entertainment Centre, Cockle Bay and beyond and prioritises the pedestrian connections through the site. 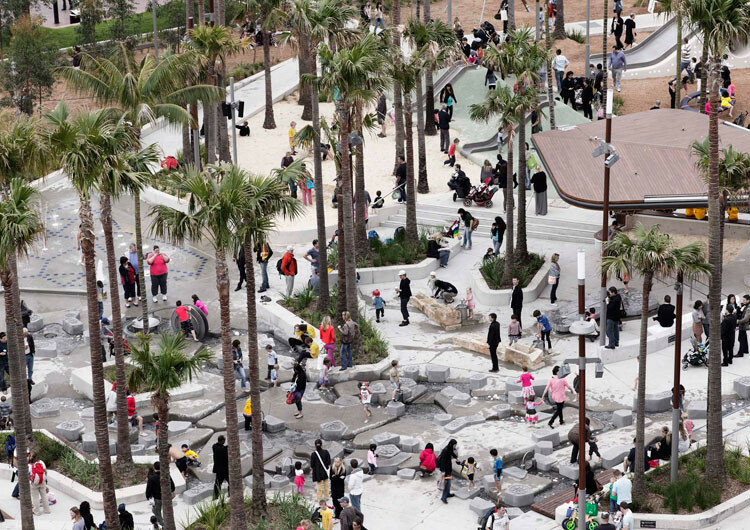 The project revitalises Darling Harbour by upgrading ground plane materials, lighting, public furniture and planting. A range of destinational place making initiatives have been implemented including an enlarged park, table tennis tables, moveable public seating and rugs, and a lighting master plan which enriches the night-time experience.